During the Sept 24 secret shopper test purchase, there was an error in the shopping cart that increased the shipping charge when paying in bitcoin. The screenshots and detailed analysis of this transaction are posted here. My policy is to be quite un-aggressive with emails to these gold-for-bitcoin dealers, in order to simulate the behavior of the average customer. Only after an extended period, when it is obvious something went wrong with the transaction, would I send follow up emails. No one should have to send even one email to receive a normal purchase. 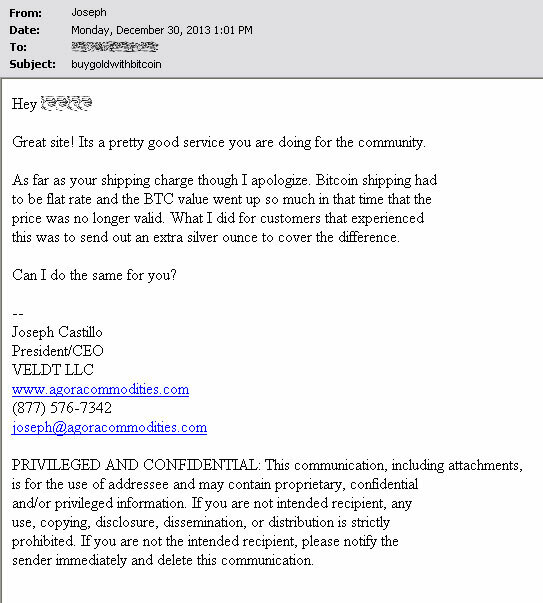 And so, since the coin I purchased from Agora Commodities had arrived (delivered within 3 days) I hadn’t sent any email. The extra shipping charge error was something I presumed would be fixed by the owner, and I would simply document it. I received this email unexpectedly, which is published by permission. Great site! Its a pretty good service you are doing for the community. this was to send out an extra silver ounce to cover the difference. Can I do the same for you? to make up for the extra shipping charge. permission for me to publish this email as part of that review? 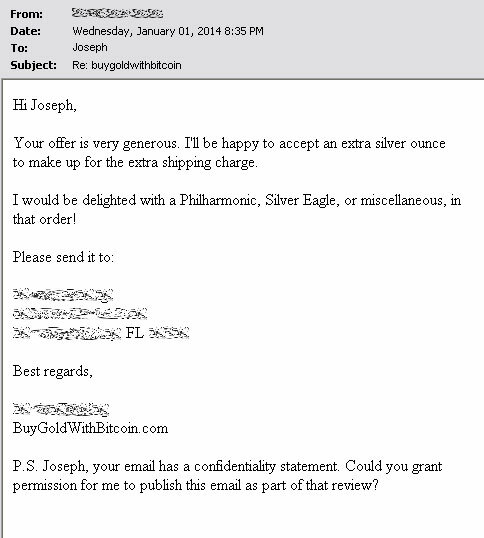 A few days later, Joseph got back to me. 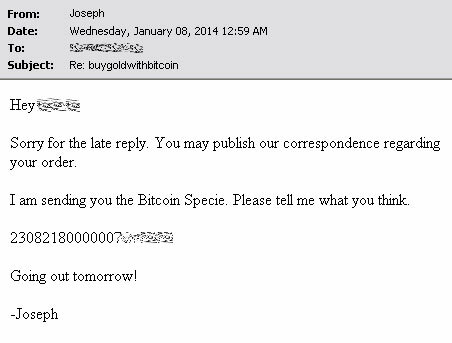 I am sending you the Bitcoin Specie. Please tell me what you think. Three days later, the new coin was in my hand. 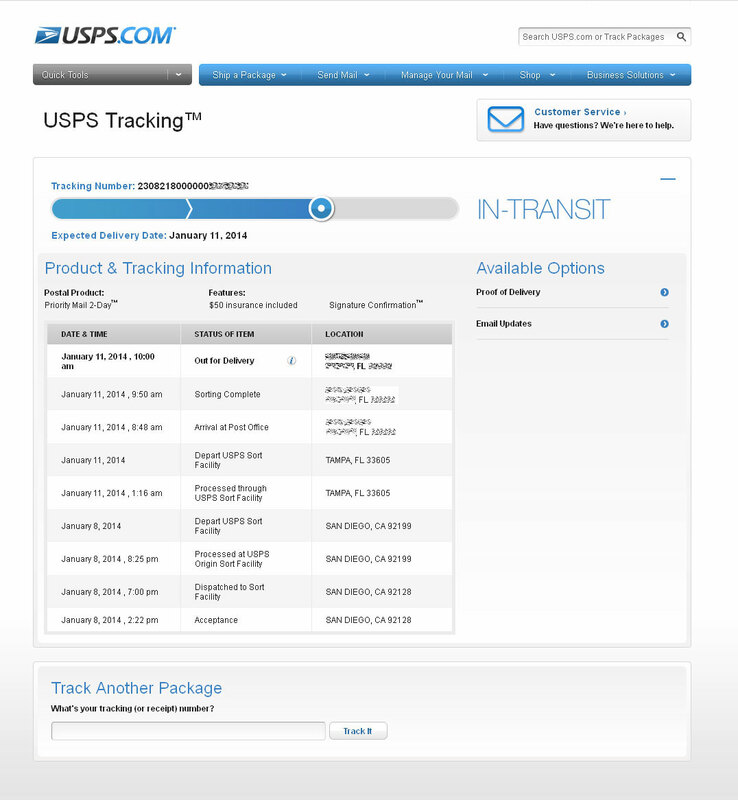 Here’s the USPS Tracking page. 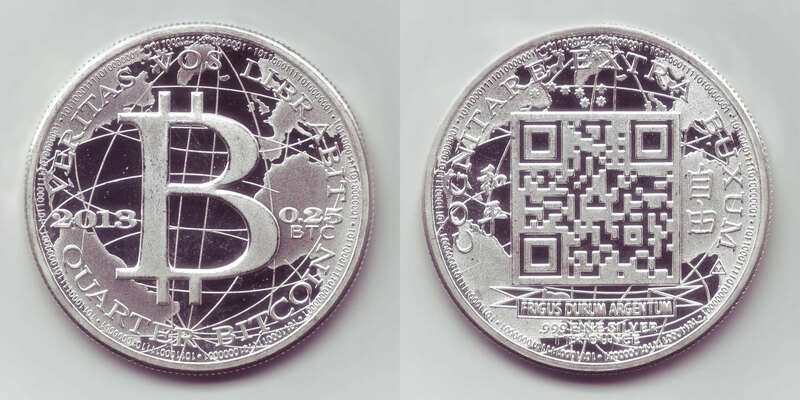 This is a quick scan of the coin. It’s an interesting item, for which I have mixed feelings. Because I personally like the coin, it would be a bit more difficult to part with it, should I decide to liquidate some silver! It’s now one of my favorites. As a reminder, here is how the original purchase went. 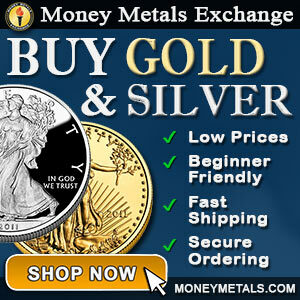 The original coin, already delivered, was an American Silver Eagle Coin.